General admission tickets for the Greenwich Town Party (GTP) will go on sale this Thursday, April 5. The annual event will be held on May 26, 2018 in Roger Sherman Baldwin Park overlooking Greenwich Harbor. 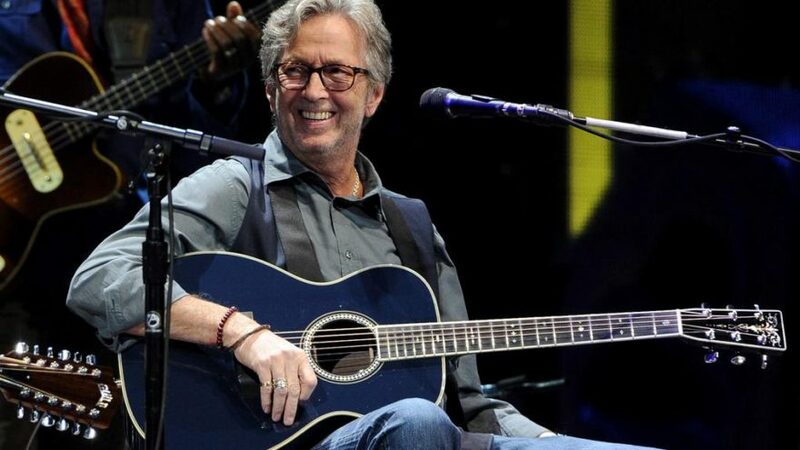 Guitar legend Eric Clapton will be the headline performer. Opening acts include the Tedeschi Trucks band and Preservation Hall Jazz Band. The GTP is an all-day event featuring live music, local food vendors and family-friendly activities. Unlike other Greenwich festivals, the GTP is a community-only event open to town residents and employees of Greenwich businesses. Guests may bring food and non-alcoholic beverages to the event and ticket holders will be permitted to leave and return throughout the day and evening. The party will begin at 10 a.m. and continue rain or shine. The GTP was created by Bridgewater Associates founder Ray Dalio, a Greenwich resident. He was inspired by a visit to his wife’s native Spain, where town residents would enjoy food and music as a community. Dalio saw an opportunity to create a similar event in Greenwich. He discussed his idea with friends and First Selectman Peter Tesei in 2010 and a plan was set in motion. The event is largely funded by donations and today sponsor contributions support 80% of the party. Each year, the GTP features an impressive lineup of live music. The event features emerging local talent in addition to established mainstream musicians. Past performers include Paul Simon, Santana, James Taylor, Alabama Shakes, The Temptations, Dave Matthews and more. Community tickets will go on sale April 5 for $85. Senior tickets are $25 and tickets for children 12 years and younger are free. For more information, visit: https://greenwichtownparty.org/ . ← Does Kylie Jenner Still Love Snapchat?